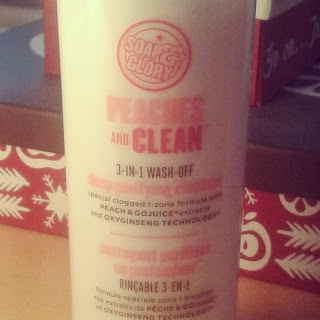 This is a product I have been waiting absolutely ages to try, and, recently I finally took the plunge and purchased Peaches and Clean by Soap and Glory. Priced at £8 usually, Boots currently have an amazing offer of a 1/3 off on Soap and Glory facial skincare, meaning you can grab a bottle for £5.33- a saving of £2.67! Containing Peach and GoJuice extracts and oxyginseng technology, this product has been designed to help tackle the dreaded clogged T-Zone. From my own personal point of view, after a few uses of this product, I'm hooked. I have noticed that my skin looks SO much clearer and feels like it has has a deep cleanse. I generally use this in the evening after taking my makeup off. This product is brilliant at getting rid of any last traces of makeup that may be left after removal. Another reason why I absolutely adore this product is the smell. Often, I find some products do not smell as realistic as the fragrances they claim to be, but not Peaches and Clean. There is nothing artificial about the scent of this product, it actually smells as if you are applying fresh Peach on your skin. For this, Soap and Glory have a big thumbs up from me! A final point from me about this product is the packaging. 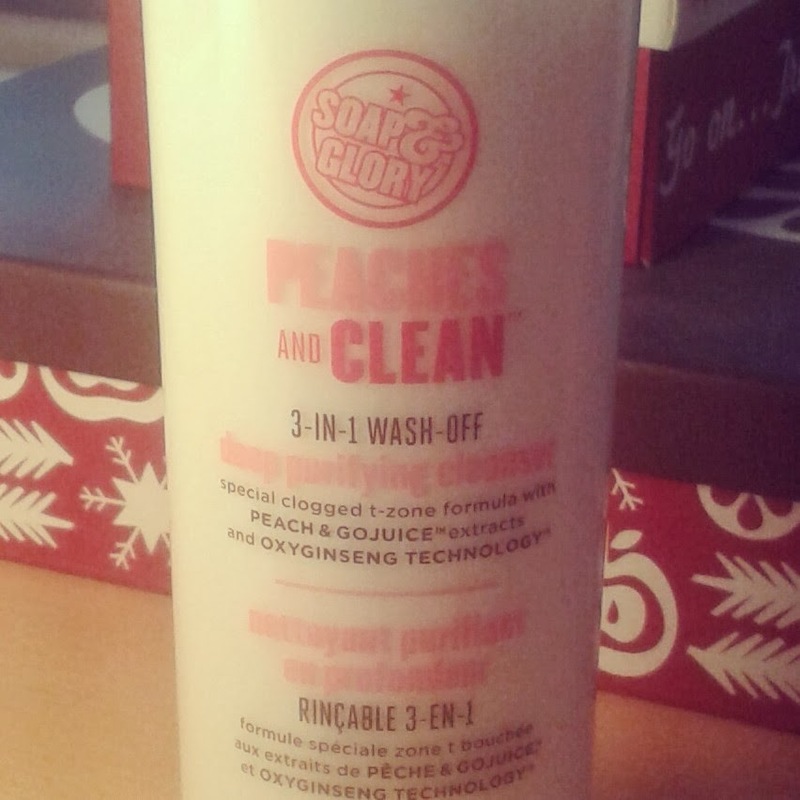 In recent months Soap and Glory have updated the packaging they use for Peaches and Clean and have moved away from their usual quirky style to something that is quite simplistic and minimalistic. I don't see this as a massive downside as I do like the new style, however, when looking for the product in Boots I did struggle to identify it amongst other products. Overall, Peaches and Clean is a brilliant product and one that I will be purchasing again. The combination of the effects it has had on my skin and the scent have made me a fan!